Major road work delays really slowed progress. But I got in plenty of sightseeing. There really are alligators in Florida. 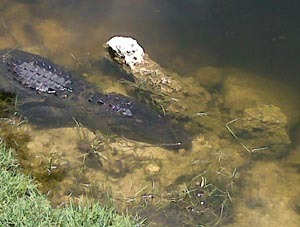 Found two relaxing in a ditch next to US 41 in Big Cypress National Park! Weather permitting, tomorrow I'll head up US 17 toward Georgia.